Tuscan Organic Tours offers customizable, full-day food and wine tours for your holiday in Tuscany. We will help you discover many more of our excellent regional products, focusing particularly on the rich bounty of this land and the skills that man has developed to transform it. 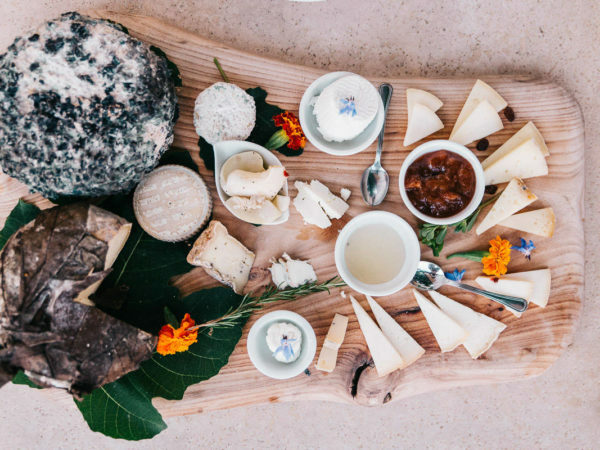 Read more about our Tuscan food tours. Learn more about our private Tuscan wine tours. 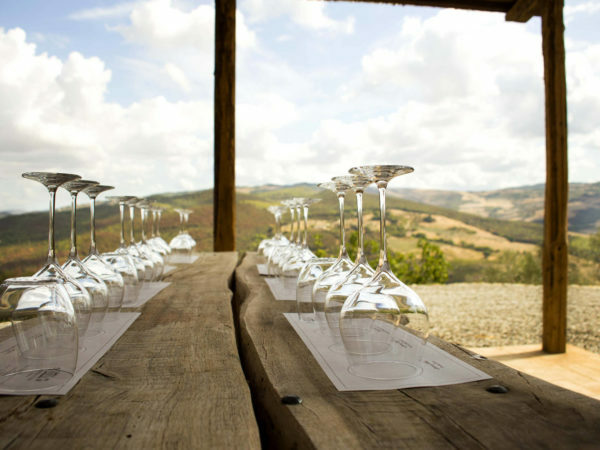 Tuscan Organic Tours is a small company specializing in private wine and food tours in Tuscany. Since we are located in Tuscany, it goes without saying that many of our tours have wine as their pivotal point. But our area offers so much more! We toured privately with our 3 year old son and friends. Giacomo was excellent to work with from our first interaction. From planning to the end of the tour, every detail was covered, many options were offered to customize our trip and the tour was fun and relaxing for all. The wineries were beautiful and wine was amazing. Our son had such a great time exploring the grounds and everyone was so nice to him. Giacomo was very knowledgeable about the wine and history of the Chianti region and Tuscany. He gave us a background as we drove to the countryside. a medieval village. Our tour lasted about 7 hours and was perfect. Added the weather was beautiful was a plus. We will definitely repeat a tour with Tuscan Organic Tours. I contacted Giacomo in the beginning stages of planning a girls trip for 6 women. He provided guidance, told me what was possible and recommended specific tours for us. In the end, I ultimately trusted him so much that I told him just to pick the things he thought we would like best. Our guide (more like our companion), Giovanni, picked us up in Rome and took us straight to Montalcino where we had the best lunch and wine tasting. Over the next few days, Giovanni became one of our group. He was helpful, knowledgeable and overall just great to be around. He was so thoughtful and almost anticipated our every need and desire. He waited patiently as we shopped and purchased wine, and while wanting to stay on schedule, his main priority was our fun. I just could never say enough great things about the experience. Without a doubt, book with Tuscan Organic Tours for any needs you have in Tuscany. Thank you Giacomo and Giovanni for a once in a lifetime experience that none of us will ever forget. The absolute best tours of Tuscany! Absolutely fabulous tour, with 3 adults and 3 children. Giacomo arranged everything perfectly, and our guide Giovanni who is from the area, was fantastic and knowledgeable. Our visit to the first winery was wonderful, and the small appetizers paired with the wine was lovely. The lunch in the Panzano area in a winery, with stunning views around us was exactly what I imagined it to be. Everyone had a great time. The food was freshly made in front of us at lunch, and fresh vegetables were used from the garden. We look forward to coming back again, and will book another tour with Giacomo. Couples, teens, a tween and a nine year old thoroughly enjoyed it! We were a large (20 plus) group visiting Tuscany and looking for a unique, off-the- beaten path experience. After consulting with Giacomo we decided on the Hidden Tuscany Tour...and it was exactly what we were looking for! Giacomo was a fantastic guide with an impressive breadth and depth of knowledge about the history of Tuscany. Moreover, he exhibited a clear and infectious passion for the area and places we visited. Our first stop was a small family-run agriturismo (an impressive organic sheep farm) where we were treated to the most delicious lunch, which consisted of 150 hand rolled ravioli and many other delicious treats, all produced or grown onsite! In addition, we had an opportunity to tour the farm and learn more about their cheese-making process. Some of the most delicious cheese we've ever tasted, which we stocked up on before leaving! Our hosts were extremely welcoming and gracious. Following lunch, we toured the small nearby hillside town Radicondoli where we wandered its lovely streets and got a glimpse of how ``real Tuscans`` live. Last, but certainly not least we visited a lovely vineyard owned and operated by a family for several decades, which produces wonderful wines (Chianti, of course, among them) and olive oil. A perfect end to a perfect day. In closing, this tour was one of the highlights of our time in Tuscany and many of our friends that joined us have also commented on what a special day it was. I would highly recommend it - especially to travelers interested in an authentic experience. Thank you Giacomo for such a memorable experience which we will treasure always! We just returned from a week in Chianti. Giacomo arranged our trips from/to the airport in Rome, as well as four other tours in Tuscany. We toured Florence and Siena with local guides in each city. We also did an olive oil tour and a goat cheese tour, as well as many small towns. Enrico and Giovanni were great! They drove us everywhere but also were great guides. We learned a lot about wine, olive oil, history, culture and the region. And the guides in Florence and Siena were great too! We had a mix up with our schedule (on our side) and Giacomo allowed us to rearrange the tours with no notice. My friends and I loved the all-inclusive, day-long tour with guide Enrico from Tuscan Organic Tours. We were picked up promptly in our small hillside town and driven through the countryside while Enrico shared his vast knowledge not only of the region, but of agronomy, history, archaeological sites, grapes, olives and organic production and much more! We visited a small organic winery, were given a tour and thorough explanation by the female vintner, and enjoyed samples of wine and food. Enrico also took us on an informative walking tour of the nearby historic hill town, including an Etruscan tomb site, and then on to another, larger (but not too large) organic vineyard where we enjoyed a splendid lunch with wine pairings. I highly recommend booking this tour - best value for price, knowledgeable tour guide and prompt, professional service in reserving the tour and all aspects thereafter. Absolutely fabulous tour! We couldn’t have asked for a better experience through the Chianti region. We travelled with a small group and were able to see a wonderful little castle town in the region as well as two small organic vineyards that treated us to not only great wine, but a homemade lunch (one of the best meals we ate all week) in stunning scenery. Enrico was great to have as a guide as his love for his home and knowledge about the area/wine was clearly visible. Very knowledgeable and happy to answer any of our questions! Completely relaxing experience and would recommend to anyone looking for a tour in the area! The Goat Cheese Tour was outstanding! By far the most memorable part of the Europe trip that my girlfriend and I just took. This tour is a must-do when in Florence!! Our driver, Enrico, was extremely knowledgeable. He was able to answer all of our questions about cheese, wine, Italy, Tuscany, etc. The goat farm was nice and quaint. We got to see and learn about the cheesemaking process and spend time in the barn where the goats were kept. Then we sampled cheeses from the farm, which were phenomenal. After the farm, we stopped in a couple medieval towns for pictures and a coffee. Then moved on to an organic winery, a beautiful house on a hilltop surrounded by vineyards. There we had an amazing home-cooked meal with appetizers, cheese, pasta, and wine produced on the farm. On top of that, it was my birthday that day, and my girlfriend had secretly informed Tuscan Organic Tours. After the meal, our host brought out a birthday cake that she had baked for me! I had the pleasure of traveling in the car driven by Enrico on this tour. The trip encompassed three wineries with tastings and a fabulous lunch at one of the wineries. The drivers picked us (13 People) up at our villa with two comfortable vehicles. We traveled to the Montalcino area to visit wineries. The time traveled was filled with questions from us and knowledgeable answers provided by Enrico. Both Fabio and Enrico put us at ease with their driving skills and knowledgeable contributions about many questions which we imposed on them. Would highly recommend this tour group if our experience was indicative of the service they provide. We travelled throughout Europe last summer with a family of six. Our day spent with Giacomo in Tuscany was one the absolute highlights. From my first contact with Giacomo, he was very prompt with replies and very helpful in planning our day according to our preferences. We spent the day in a comfortable van, touring San Gimignano, a winery and finally a cooking class and dinner in the evening at sunset. Giacomo was very engaging and my adult kids really enjoyed his company. He took all of my requests and interests prior to arrival and helped us plan the perfect day. We plan to return in the future and will absolutely book with Tuscan Organic Tours for more than just one day. I can highly recommend Giacomo and his company and have passed on the recommendation to many inquiring friends. I feel like we truly made a new friend in Giacomo and look forward to meeting again! Giacomo organized a great wine tour that allowed us to visit a winery and a farm we would never have discovered on our own. We felt like we'd been let in on this secret world only Tuscan locals know about. We had a wide variety of ages in our group - from eight to sixty-three years old - and everyone loved the tour. Giacomo kept us entertained on the drive with his history lessons and cultural insights. Highly recommend - it was one of the highlights of our vacation. I was traveling with my one-year-old daughter, my three-year-old son and my mom who was turning sixty! I contacted this tour company and was extremely skeptical, for I did not think it was possible they could plan a day that everyone in my group would enjoy. Boy, was I wrong! Giacomo picked us up from our hotel in Florence (with car seats!) and drove us to a few wineries. My mom enjoyed her birthday relaxing while drinking in the sun as my kids ran through the vineyards! The day could not of been more perfect and they even arranged for her to have a birthday cake! We would contact this tour company 100 times over!! !